239) Hello, and welcome to my “Limited Tour of Pioneer Square Mailboxes.” Our tour begins with this fine double-wide box located at the heart of Pioneer Square, First and Yesler. And this concludes our tour. 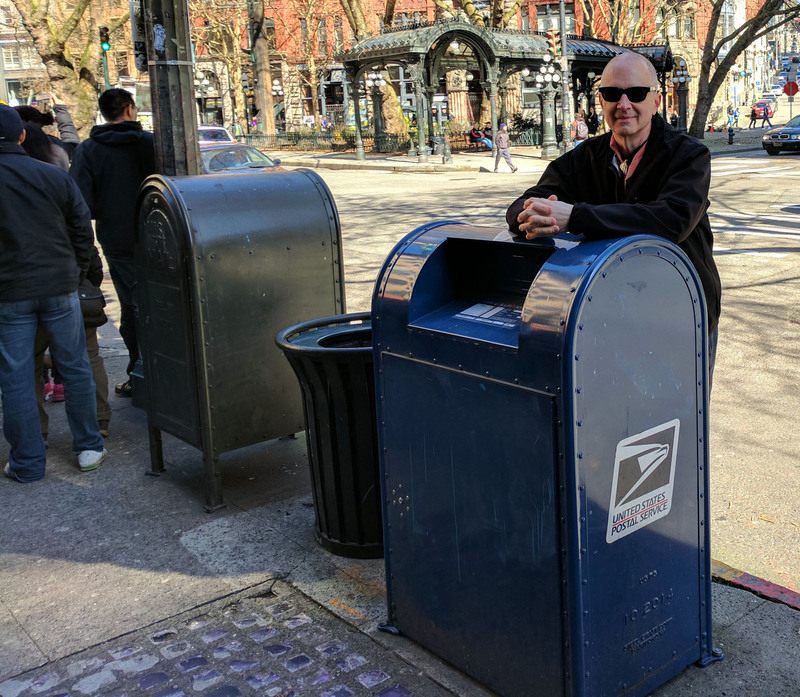 I hope you enjoyed “Limited Tour of Pioneer Square Mailboxes,” and please leave us a five-star review on Yelp.